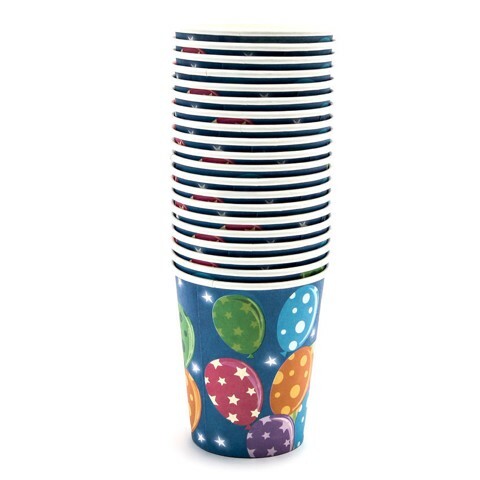 Paper Cups 255Ml 20Pk 4Asst. 9 x 7.5cm Diameter. Birthday Cake | Ballerina l Star with Balloons l Cup Cake. 210gsm Paper. 250G Packaging: Polybag with Header Card.